A dog crate is an essential product for any dog owner, but unfortunately, many people don’t know enough about crates and are left looking for answers to questions such as: which is the right size dog crate for my dog? At what age should I introduce my new puppy to a crate? And how do I use a crate in everyday life? Don’t worry; you are in the right place! We will answer all of the above questions and more in this post. 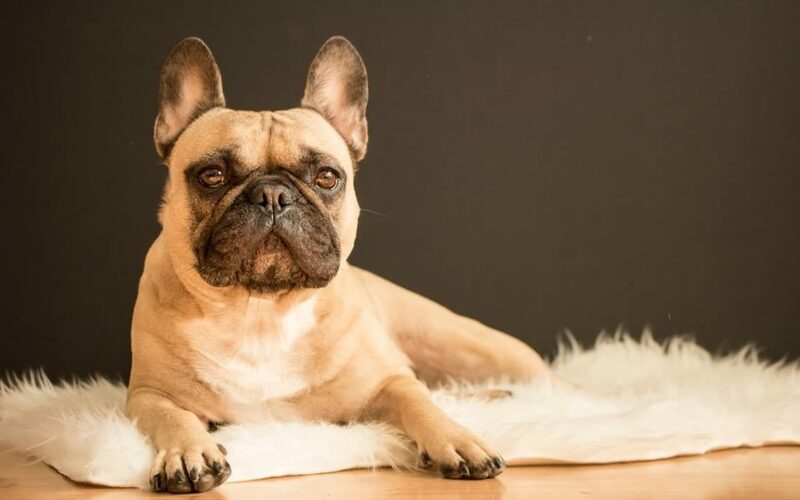 There are many different opinions on using a crate for your dog; some people are against crates saying that dogs shouldn’t be kept in confinement, however, if crates are correctly used then they can provide you and your dog with the peace and security that is needed to have a harmonious life. Dogs natural instinct is to be in a den, and while dogs are sociable creatures and love nothing more than to be around other dogs and humans, it is also essential for them to have their own quiet retreat; a safe place to get the much-needed downtime they need. Think of children; they love to have their own space that belongs only to them – dogs are the same. On average dogs sleep for up to fourteen hours a day; depending on the breed of your dog this could be more. It is our responsibility as dog owners to provide a safe and comfortable place to rest and if used properly, the right crate can provide this for your dog. Choosing the right dog crate for your new puppy is an important task. Make sure you understand why your dog will love his crate as much as you do! 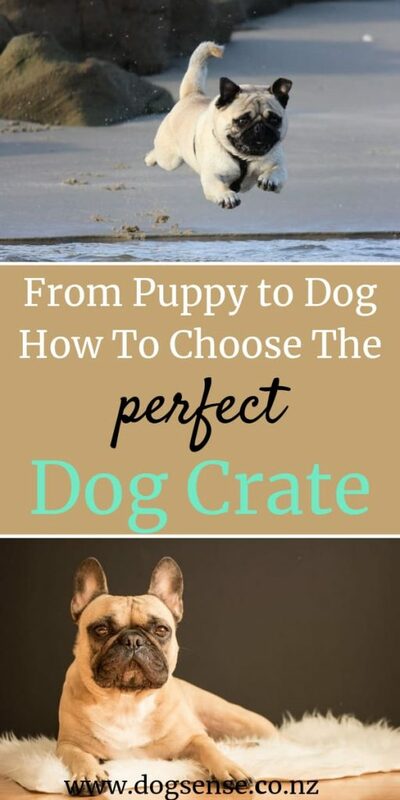 Selecting Your Dog Crate. Some Tips. Choosing the right size crate for your dog is super important. Too small and your pooch will be cramped; too big and your dog will use the crate as a backyard and usually end up relieving themselves in it. Remember, bigger is not better. As a rule, the crate should be a few inches larger along each of your dog’s dimensions (length, height, width). There should be just enough room for your dog to be able to stand up and turn around in her crate. Manufacturers of crates usually provide you with a sizing chart to make this easy for you. Measure your dog and buy a crate accordingly. Avoid soft fabric crates for your dog. Your adventurous new puppy will quickly find a way out of these and may even view this challenge as a game! Crates made from wood are generally bulky and are not transportable. If you take your dog on holiday with you, a portable metal crate that will pack down into the car is the perfect crate for you. Consider also that you want to move the crate into different parts of your home. If you have guests or you experience a lifestyle change then choose a crate that is easily transportable. This crate is going to be with you and your dog for the next 10-15 years so make sure you choose a high-quality crate that will last the duration and that you don’t mind looking at. Pick the right spot for your dog crate; somewhere that your dog will be part of the family but out of the way of the hustle and bustle. Try and ensure the spot that you pick is slightly darker than the rest of the room – at the side of a sofa in the corner perhaps, or behind the kitchen table. Make sure the area immediately around the dog crate is free of hazards; you don’t want heavy ornaments or kitchen knives falling onto your dog through the crate. If there is anything that your dog could reach with his tongue or paw, then move the crate to a safer place. Ensure that there is proper ventilation flowing around your dog and his crate and he doesn’t get too hot or too cold. It is crucial that your dog feels comfortable, safe and warm. Put your dog’s favourite bed inside the crate to make it super cosy for him. We love the Snoozy Super Comfortable Daydreamer Bed. your dog should feel relaxed, warm and cosy in her dog crate. Along with socialising your new puppy and teaching him the necessary training commands, getting him to love his new crate is all part of being a dog owner. Know that you must never force your new dog to go into a crate; this will make him fear the crate and view it as a place of punishment. Many dogs take to a crate very easily. Follow these simple steps, and you will find that your dog will love going into her new crate. Start by putting tasty treats inside the crate and leaving the crate door open so that your dog can walk in and out freely. Don’t make a fuss or a big deal out of the crate. Treat it as you would anywhere else that your dog explores. Next, while your dog is in the crate, leave the room for short periods (a few minutes). Increase this time gradually every day. Once you can leave your dog for more extended periods, your dog may be ready to sleep in his crate overnight. Again, use your common sense. As you proceed with the above stages, it is important to monitor your dog’s comfort levels. If he is showing signs of anxiety (excessive yawning, tail between his legs, cowering), then go back to step one. Do not rush this process and take your dogs lead. By using a sleep monitor device such as the FitBark 2, you can easily watch your dogs sleeping habits in the crate. FitBark 2 is an excellent way to give uneasy new puppy parents peace of mind. But My Puppy Whines To Come Out Of The Crate. What Should I Do? It is important to remember that in the early days of puppy crate training your pooch may well whine to be let out of the crate – especially at night. She is a baby and would much rather be on Mummy’s bed than in the crate alone! While it is very tempting to go to her immediately and put her into bed with you, this will only cause problems in the long run. By all means, attend to your dog if she seems distressed (see above) but never let her out of the crate while she is still whining or barking. Go to her, comfort her with your voice and wait until she has stopped crying for attention. Not until she has stopped whining or barking must you open the crate. If you open the crate while she is making a noise then she will associate this with being let out. Only let your puppy out of her crate once she has stopped whining or barking. you do not want her to associate making a nose with being let out of her crate to play. Dogs, like humans, love routine. Establishing a regular time when your dog goes into her crate will help her to feel secure and settled. 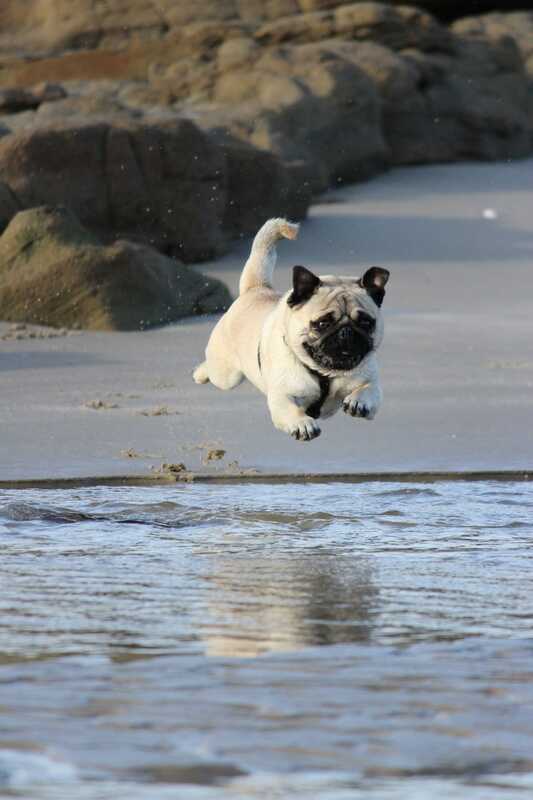 Give your dog plenty of exercise every day. Perhaps after she has had a walk, a snack and a drink let her go to her crate for a couple of hours snooze time. Equally, establish a regular ‘bedtime’ for your pooch. She will thrive on this routine. If you leave your dog with a pet sitter be sure to tell the sitter about your dogs preferred routine and any rules around the crate, this will cause the least amount of disturbance to your dogs daily routine. Don’t use your dog’s crate as dumping ground. Never pile things on top of the crate. This will prevent air from circulating and could be hazardous to your dog should something fall into the crate. Keep her crate free from dirt and dust, and don’t put anything in the crate that could cause your dog to choke. As your dog matures, her crate needs will develop too. 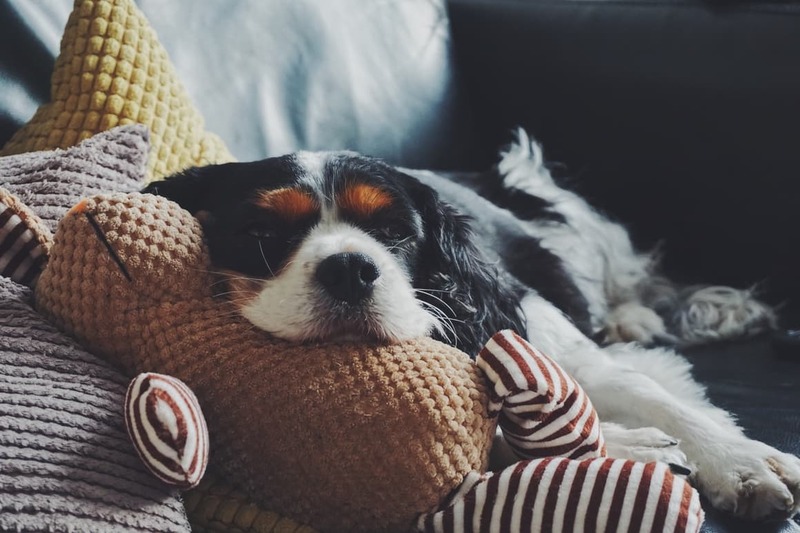 You may find that your older dog prefers to sleep more and more in her crate and whines to go into it, especially if she is suffering from an ailment. Similarly, your dog may not need to have the door closed on her crate, preferring to wonder sensibly in and out of the crate at her leisure. Monitor your dog’s needs and adapt accordingly. Never EVER use a crate as a form of punishment. Your dog should always feel safe and happy in his crate and by telling him to “get into your crate” when he has done something wrong will create negative associations. Crating a dog should never be a negative experience, for the dog or his parents and crates should never be used as a dog sitting alternative. Do NOT crate your dog for long periods of time. Leaving a dog in a crate unattended for more than a few hours a day is cruel and harmful. 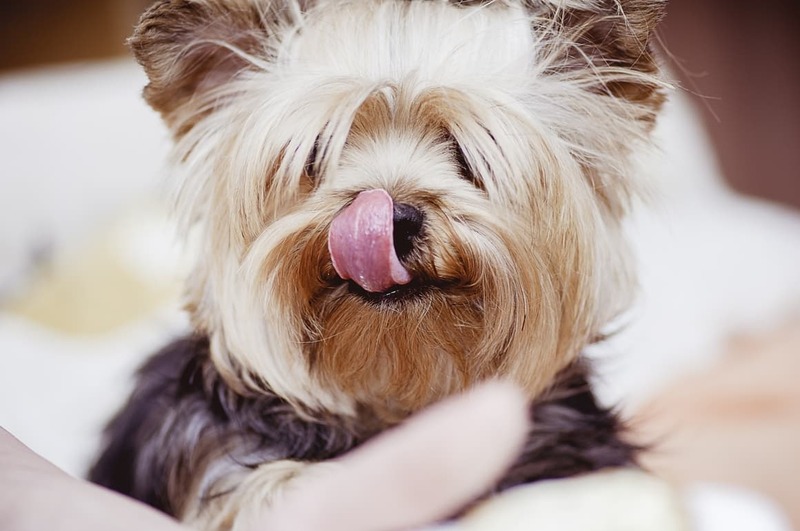 Your dog needs regular food, water and to be able to relieve himself. If you are considering buying a dog with the intention of leaving him caged all day while you are at work then may I suggest you buy a goldfish. Dogs rely on their owners to provide them with a safe haven; to know that they are loved and have shelter and a warm, cosy place to rest. Used responsibly a dog crate will do just that. If you would like any more information on which crate would be best for your dog, then please contact us either in the comments below or through email. Until then – enjoy your new dog crate!